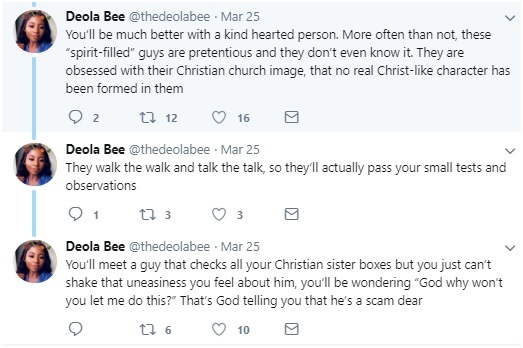 Tuesday, March 26, 2019 - This lady has sensationally claimed that ‘church boys’ are the worst kind of men to date and gave an interesting reason. 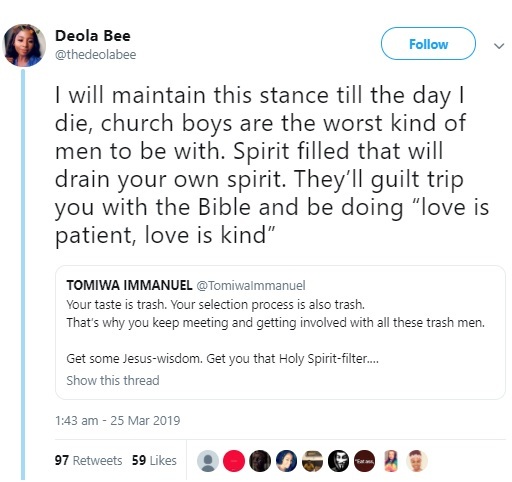 It all started when a guy claimed that most ladies end up with ‘trash men’ because they do not go for ‘spirit-filled’ men. 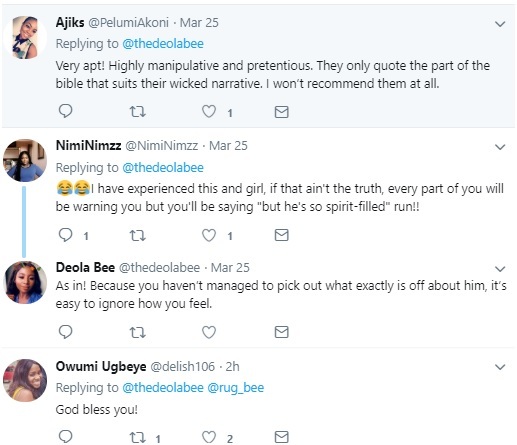 This is a debate that may never end but the lady got a lot of support from other ladies. 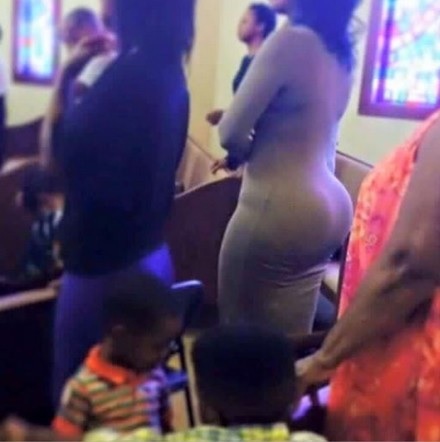 Those girls sound like they live on the fast lane, in church they want to appear faithful. 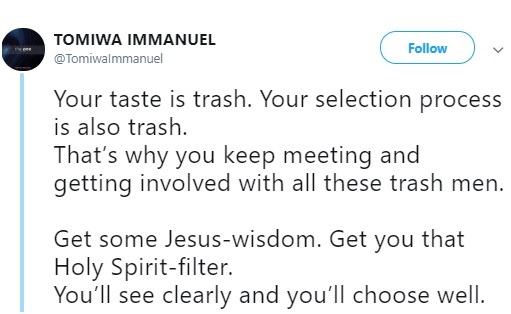 Verdict: it is then that are trash.